CEOCFO: Mr. Patel, what is the concept behind PathogenDx Corp? 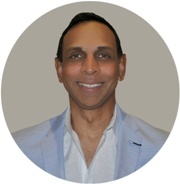 Mr. Patel: The concept behind PathogenDx was to develop a much better, faster, simpler, and more economical testing technology to help identify pathogenic contamination. Essentially, it focused on addressing major pain points we all are experiencing today in the food and agricultural world where you see significant contamination of E. coli and salmonella, and other pathogens in food produce and products, and meat and other products that span across different markets. Our key focus is delivering this technology that can test for these kinds of bacterial and fungal contaminations in anything we consume on this planet. We are able to significantly cut down the amount of time, labor and cost in being able to identify contamination much earlier, so that it can avoid people getting sick and saving lives. The concept behind PathogenDx was to develop a more accurate and reliable microbial testing solution for the food and agriculture industry. The unfortunate reality is that most of the current microbial testing processes for food are ineffective. Think how often it is that you hear about a major food recall due to bacterial contamination exposure- Chipotle comes to mind, romaine lettuce, peanut butter� the list goes on... These outbreak events are usually the result of utilizing a testing process that is about 150 years old. Technology has advanced in every dimension of every industry imaginable, except in that of food testing, until now. We have developed a platform that addresses the inefficiencies in current food testing application. We deliver a platform that is far more sensitive, faster, and cost effective. We are a solution to all of the inefficiencies in microbial detection the way it is performed today. CEOCFO: What is the science behind the test? Mr. Patel: To better understand our technology, let�s first take a look at the foundation for microbial testing. If you managed to stay awake during high school Biology class, then the name Julius Petri may be a familiar one. He is credited with having developed the petri dish. The concept behind the petri dish was to be able to create a suitable growing environment for bacteria to thrive over a lengthened period of time so that one could physically count the colonies of living cells and determine the number of bacterial cells that form an E. Coli colony, say on a piece of lettuce, for example. In doing that, you would then be able to identify whether the lettuce was contaminated or not. This is a 3-5 day process possibly longer depending on backlog of samples needed to be tested. What happens in the supply chain is that these food products or Agricultural produce are already on their way to consumers by the time testing results are confirmed. This process continues to pose a major risk to consumer health- hence food recalls that spans multi-state some times across countries. The idea in this case is that we can only know whether something is contaminated only after we are able to physically see it. And that is the issue. In 2018 alone, there have been more than 9 different food items linked to multistate foodborne outbreaks. Physical confirmation is risky. We know contamination is present well before we can physically see it. Imagine being able to identify contamination at a molecular level, without having to wait days for colony growth. Imagine being able to deliver results in just a few hours, instead of needing to wait several days. And imagine doing this, with more precision and cost-effectiveness. And that, is where we come in. Literally, a paradigm shift in the way we test for Microbial contamination. Our technology takes a targeted approach in identifying whether a food item is contaminated or not. Our technology is equipped with ultra-sensitive primer and probes that work on a very innovate glass substrate called a micro-array. These probes are programmed to seek out and identify specific strands of E. coli, for example. Actually-our technology can seek and identify ALL the potential pathogens at the same exact time. This allows for more comprehensive results to be delivered at a much shorter time frame than ever before. CEOCFO: Are you able to do that in any type of plant, any type of food or does it vary? Are there certain areas where it is more affective? Mr. Patel: When we first set out to address the issues with current microbial testing processes- we were focused on the food and agriculture industries. That is the global application to what we have developed. We later realized the need for a more sophisticated testing technology, across other testing markets. Our technology is translatable- so we are relevant to the botanical, food, ag, water, cosmetic, and pharmaceutical industry too- really any consumer products that go through testing today, we can help. CEOCFO: Is it a yes or no result at the end of the test? Is there interpretation involved? Mr. Patel: That is a great question. There are two components to what we have. Available today, we deliver a qualitative result-detect/ non-detect, for example: those bacteria that are present and can be cultured as well as those bacteria that sometimes cannot be cultured or maybe in a dormant stage. Because our platform is a DNA based technology, the result in this respect is the most conservative ensuring maximum safety to consumer. The second component, which is still in development, is a Quantitative one, basically enumerating the level of contamination. This component tells you how much bacterial presence there is (the concentration of colony presence). In many instances, simply knowing whether or not an organic item has bacterial presence is not enough. What if you wanted to know how much bacterial presence there is- at what concentration? What about good bacteria vs harmful bacteria? It�s important to be able to make that distinction, so we want to know that too! Our testing platform will be able to deliver on all those fronts. Mr. Patel: The technology was developed with the intention of transforming the food and ag industry. These marketplaces are regulated by governmental agencies, as you know, and the unfortunate reality is that this kind of regulatory approval process is extremely lengthy. But then we started hearing of microbial issues within the cannabis industry. So we realized that we can make our technology commercially available much sooner- within the field of cannabis testing. Our focus then became providing a means for legal weed to be safe weed- regardless of the ethical and moral implications surrounding the industry. We wanted to demonstrate the effectiveness of our technology within each state so that we could establish a foothold for ourselves. The plan is to apply our technology to food and ag, with validation of marketplace success from other industries. We hope this will help to expedite the adoption of our technology, because every month that goes by there seems to be yet another multistate foodborne outbreak and further risk to consumer health. CEOCFO: Is the test done on site or are samples sent to you? Mr. Patel: So to understand where our tests are being utilized, let�s first talk about the workflow within the Cannabis industry. Right now, every state that has legalized cannabis requires the use of a tracking system. We call this Seed to Sale. The concept behind this is to be able to monitor the chain of custody of the flower, from the cultivator, throughout its entire life process, eventually to the consumer. Along this process, flowers are sent from cultivators to Independent Testing Laboratories. It is here, where our technology platform is being used. The PDx technology is currently in over 30 cannabis testing labs across the country. We actually took it a step further. We understood that event of contamination has an origin, and that�s typically going to be at the grow facility. That is why we developed a kit specific for growers/ cultivators to identify up to 36 pathogens in one swab. This is our environmental screening kit. So not only can we offer growers a way to pre-screen their crops with our testing kits, but we also offer them a tool to forensically identify zones of contamination within their facility. With continued use of our environmental kits, we have helped grow facilities minimize the risk of bacterial exposure to their plants. This combined with our testing kits allows for growers to identify contamination issues much earlier on within the 8-12 week harvest cycle. CEOCFO: How do you gain attention in an industry where hundreds of services are popping up? How are you able to garner attention so that people understand you have something real and meaningful? Mr. Patel: To be relevant in the cannabis industry, we had to highlight our purpose. Legal weed needs to be safe weed. And we want to help the industry achieve that. We have partnered with key stakeholders in the cannabis field that understand and are in pursuit of this, too. We have successfully been able to garner traction in states that have faced struggles with contamination issues, like California, Washington, Hawaii and many other states. By showcasing how the implementation of our technology has helped states resolve their contamination issues- we hope to see a copycat phenomenon with other surrounding states. The regulations of cannabis testing are enforced at the state level. In the food and ag industry- testing regulations are federally regulated. Because of this, the cannabis industry is more susceptible to inconsistencies from state to state. Unfortunately, what we would expect to see is some states with a very healthy flow of cannabis to consumers, and others with a much higher risk to consumers. We need states to be consistent in what they require for testing to ensure product safety. We need states to have standardization. We need legal weed to be safe weed. CEOCFO: Are you seeking partnerships, funding or investment as you move forward? Mr. Patel: Great question. We have actually completed our most recent round of funding. We oversubscribed by double the amount we were initially seeking. I think people realize what we have developed is a disruptive technology that can help save many lives all around the world, outside of just the cannabis industry. We are an upset to testing processes that have not seen any change in decades. The pivot into the food and agriculture industry will be monumental for us. So we do plan to go for a larger raise in a year. We are confident that the level of interest from our current institutional investors will be continuous throughout the next twelve to twenty-four month period. CEOCFO: You have a lot of experience with companies of different sizes and entrepreneurial ventures. What have you learned over time that is helping you now? Mr. Patel: It really is all about the people. The people on your team. The team at PathogenDx is fitted with executives and scientists that have years of experience working together from other ventures. We have a microarray technology expert that is probably one of only a handful in the world, that has invented, developed and commercialized a technology at his functioning capacity. Our team members are innovators. As individuals, they hold patents, they have publications, they have really dedicated their life to advancing the field of science. Here- they work together, within PathogenDx, to continue this contribution. The PDx technical team has been working together for 2 decades. We truly know each other as individuals, and because of that we know how to deliver as a team. Our team is multi-faceted, and uncommon, it�s a marriage that sometimes doesn�t even seem possible. CEOCFO: When you are talking with prospective customers do they understand immediately? It seems pretty obvious, but do you get any pushback? Mr. Patel: What we have to offer is very hard to resist. People get it. Timing is critical. But so is being able to be more precise. Presence of bacteria on any organic matter is an issue because of the way in which goes about identifying it today. It is a slow and very inaccurate process. Bacteria�s population doubles every twenty minutes. If it�s not identified accurately and quickly then we see contamination outbreaks. Think of the recent Romaine Lettuce E. Coli outbreak. This outbreak spanned multiple states and led to hundreds of hospitalizations and even deaths. We are here to help see that multistate outbreaks are a thing of the past. Our �setback� might be more in the form of not enough people being aware of what we have developed. The governing bodies surrounding food safety testing need to be alerted. The technology that can help to resolve these issues is here today, it�s with PathogenDx. CEOCFO: What, if anything, might people miss or misunderstand about PathogenDX? Why is PathogenDX an important company? Mr. Patel: The nutshell of all of this is that we are in a population boom. With a growing population- the food, ag, and even water industries have more pressure to continue to deliver consumables to consumers. The stakeholders in these industries have adopted more advanced technologies to increase their commercial processing power so they turn out more product. Their pace of production is not slowing down- but they are ultimately bottlenecked by the antiquated testing method they currently use. Ironically- that�s why every month we see a billion-dollar company struggling with a contamination outbreak. The unfortunate reality is that this will continue. This will continue until a testing method is able to scale with the demands of these industries. And that is the power of our technology- we can deliver comprehensive results as quickly as 6 hours, versus what normally takes 3-5 days or longer. We do this with more precision and at a fraction of the cost. We are the definition of a technological advancement addressing a global challenge in the way in which we test for pathogens on practically anything that is consumed.